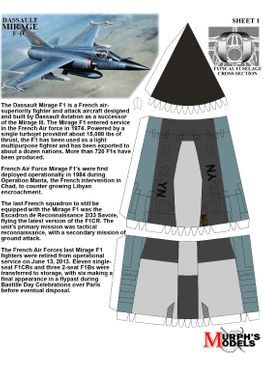 The Dassault Mirage F1 is a French fighter and attack aircraft designed and manufactured by Dassault Aviation. 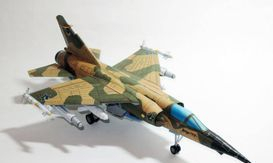 It was developed as a successor to the popular Mirage III family. 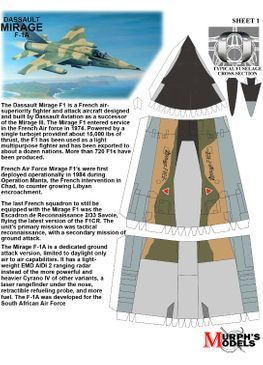 During the 1960s, Dassault commenced development of what would become the Mirage F1 as a private venture, alongside the larger Mirage F2. Work on the F1 eventually took precedence over the more costly F2, which was cancelled during the late 1960s. 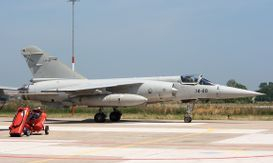 The French Air Force (Armée de l'Air) took interest in the fledgling fighter to meet its requirement for an all-weather interceptor aircraft. 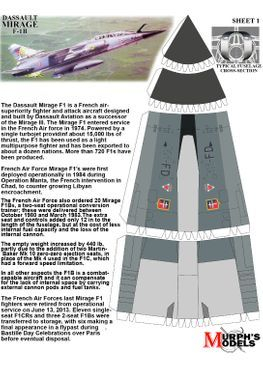 Accordingly, initial production units were equipped with the Thomson-CSF Cyrano IV monopulse radar. 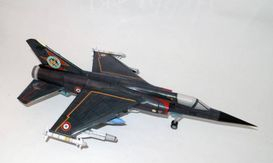 During the latter half of 1974, the Mirage F1 entered service in the French Air Force. 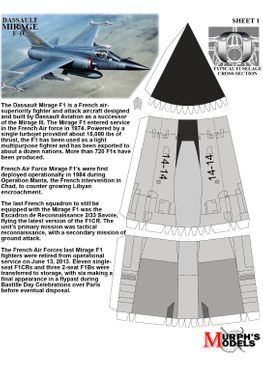 Shortly thereafter, the type was deployed as the main interceptor of the French Air Force, a capacity which it continued to serve in until the arrival of the Mirage 2000. It later transitioned to an aerial reconnaissance role. 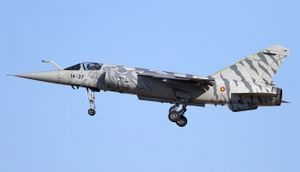 During June 2014, the last French Mirage F1s was retired from service.